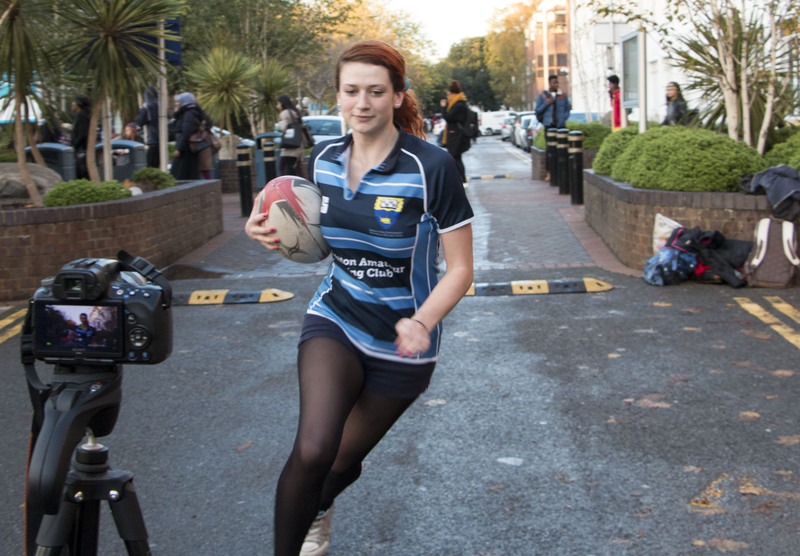 Kingston university’s rugby team were drop-kicked out of the opportunity to have a guest appearance on BT Sport’s Rugby Tonight. After arriving early at BT Sport’s studio on Monday last week, the rugby team were left disappointed after they were told that they would in fact not be a part of the show. It soon became clear they were not doing the play demonstration but instead had to be in the audience. According to the president of the women’s rugby team, Ellen McMullen, 21, the ten girls who were supposed to do the demonstration had got their hopes up and were excited about doing the show. Over 70 students from both the men’s and women’s rugby teams went to the show. During the show a player from the men’s rugby team, Agni Ghosh, was picked to take part in a competition against another university for the TV recording. According to a spokesperson from BT Sport, the initial play demonstration they had planned was too big for the studio space.